Imagine yourself at Coachella for a moment: you’re grooving to a killer Anderson .Paak set, crowd is wilin’, and all of the sudden, your homies are gone. You try to send a text, but the connectivity is so weak that you receive a “message failed to send” alert. Finding your homies at this point would be like trying to find a Grayson Allen fan outside of North Carolina. It’s a helpless feeling, getting separated from the people you came to a fest, concert, or sporting event with. goTenna will prevent that from ever happening again. The small, pocket-sized communication device allows you to text when there’s limited or no cell service or Wi-Fi. You just download the goTenna app, connect your IOS or Android device to Bluetooth, pull out the antenna on the goTenna, and you’re ready to chat. It’s a must-have at Coachella or Gov Ball. 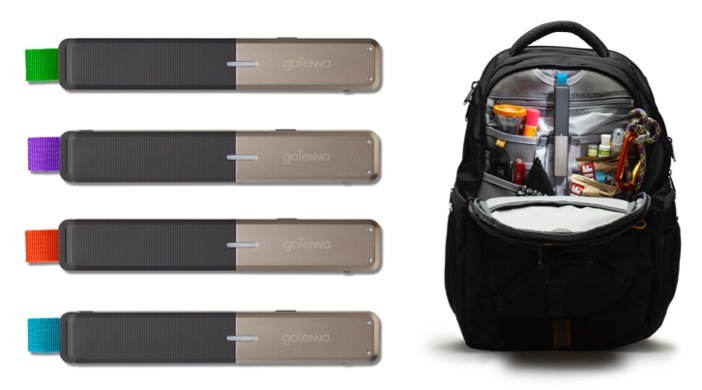 Cop a goTenna here, and make your next festival stress-free.